If you are a quilter, you know the quest. 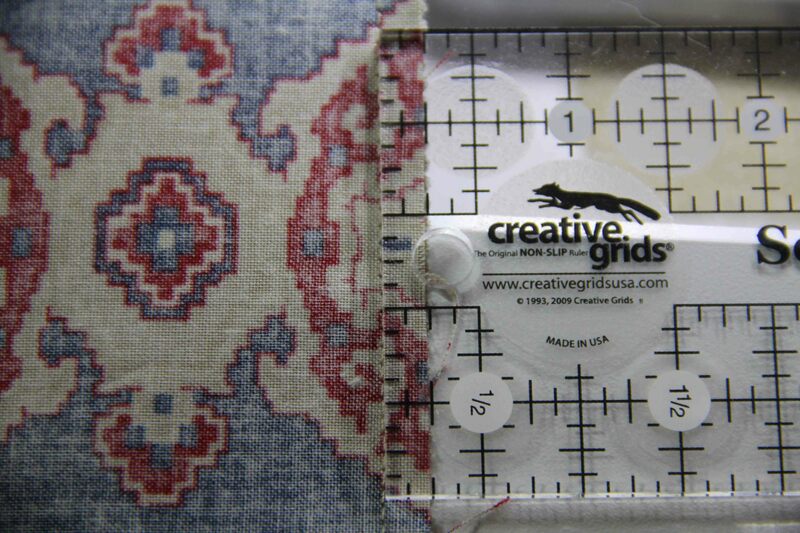 You have tools and feet that help you to measure the exactness of your 1/4 in seam. You already know that a fraction of a sliver off here, means a big mess over there. And you have a seam ripper for just such occasions. 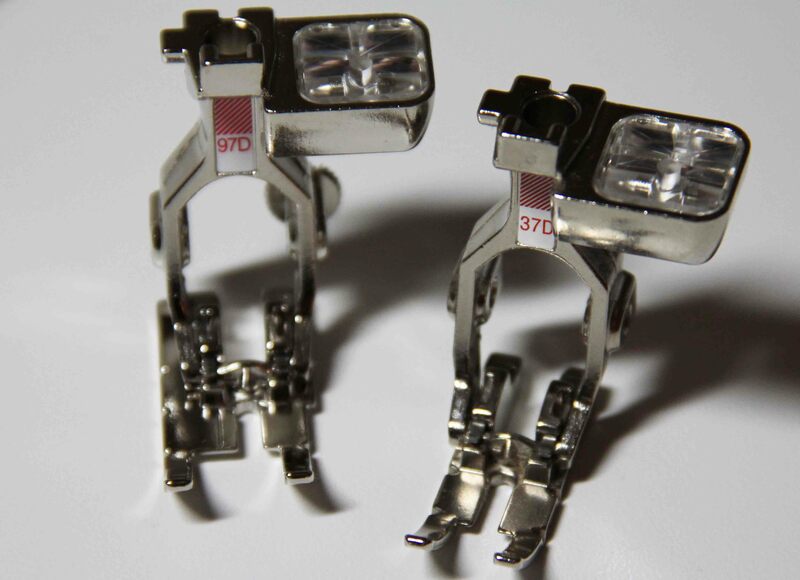 Last summer at Bernina University, Bernina introduced a new foot called the 97 or 97D. For the uninitiated, “D” stands for dual feed to be used on those machines which include dual feed. It is a 1/4 in piecing foot engineered specifically to improve the piecing accuracy of 9 mm machines. Sewing machines have differing lengths between the feed dogs. Most standard machines are 5.5 mm. Any 1/4 in. foot on that machine covers both feed dogs nicely and your small quilt pieces don’t slip. But other machines have 7mm or 9mm opening for their stitches. 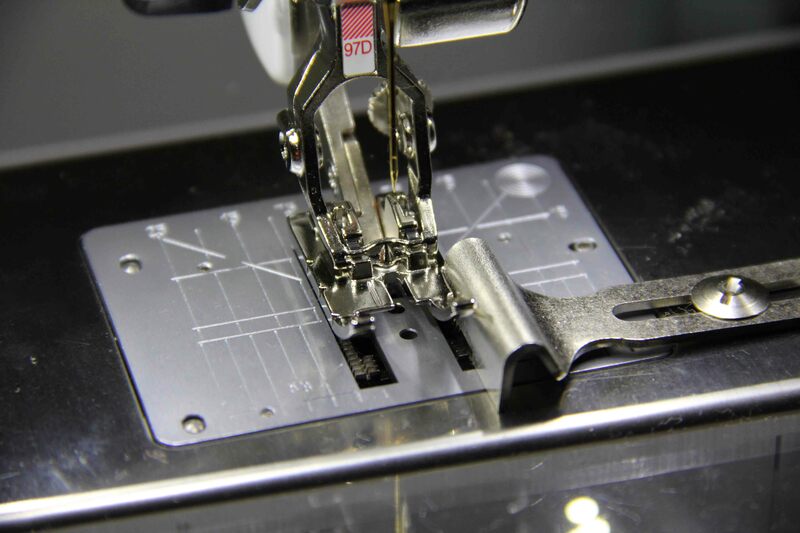 Bernina makes many machines that are 9mm. While it’s not a huge problem for most people, it can be troublesome when working with tiny pieces. They can get pulled down into the machine causing a real mess. Also, a standard 1/4 in foot does not rest completely on the 9mm feed dogs, giving us less control than we would like. Hence, the introduction of this new foot. You can see the previous 1/4 in. piecing foot, 37D, is much narrower than the new foot. The 97D allows the foot to sit directly on both feed dogs of a 9mm machine, which can only mean more accurate piecing. When this foot was announced at BU, the crowd exploded in cheers. When we announced it at home, we received dozens of orders from people: How far down am I on the wait list? They asked. You are number 25. And counting. And we are a tiny quilt shop. Demand for this foot across the country was huge. But call me skeptical. I waited until the dust settled. Then I took it home and tried it. This foot comes with a guide that sits in the notch on the foot, and screws into the machine. I thought this guide would bother me, but friends, if your pieces are cut accurately, the guide really helps. My 1/4 in. seam could not have been more beautiful and consistent. Over and over and over again. I’ll have to hold my skepticism for another day. 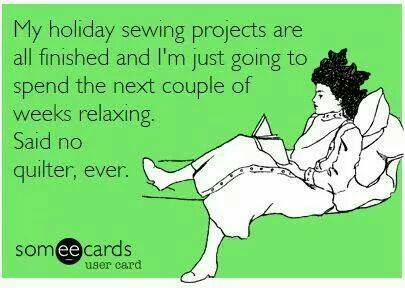 For now, I just need to sit down and sew. This entry was posted in quilting, sewing and tagged bernina, quilting by edges. Bookmark the permalink.